Each month Australian Organic issues a stunning flyer of what’s in season. Be sure to print this one off and buy produce that’s in season this month. Try to avoid fruit and vegetables not on this list because it means they may have been kept in storage for some time or perhaps even from overseas. We’d also recommend you look at what produce is in season locally. The best way you can do this is to shop at a farmers market. You can find a farmers market near you here. 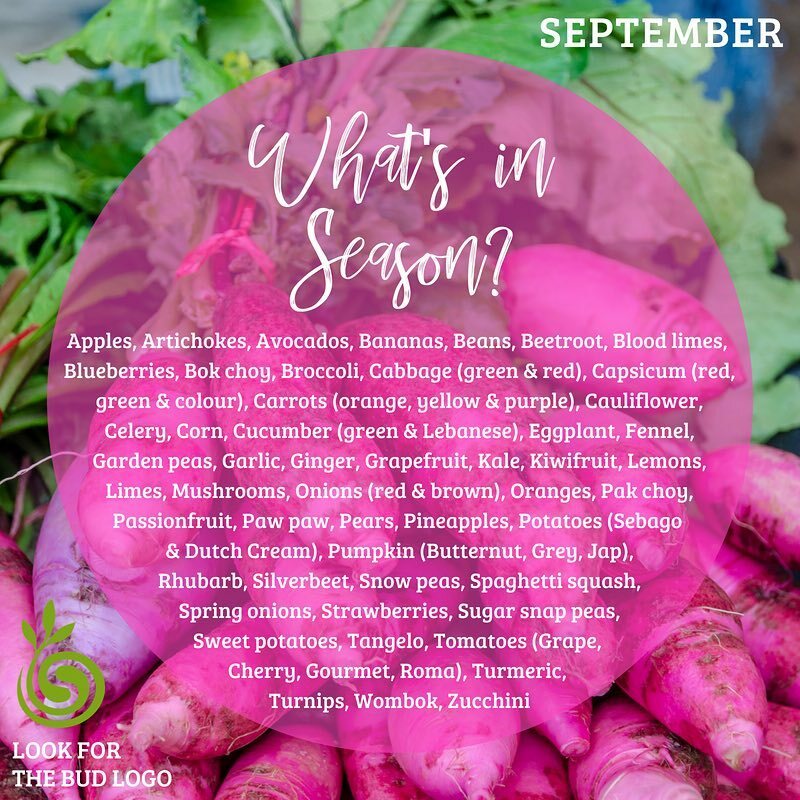 To help you make the most of this seasons incredible produce, here is a roll up of some great September Seasonal Recipes. 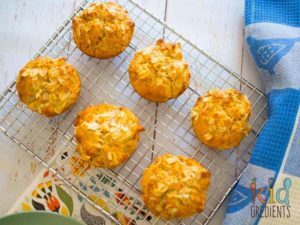 Try this Apple Oat Muffins by Kylie at Kidgredients. They are no sugar, relying on the sweetness of apples only. Oh I used to so love toffee apples as a little girl, and here Alexx Stuart of Low Tox Life has created a refined sugar free version. You can always rely on Alexx to redefine treats. 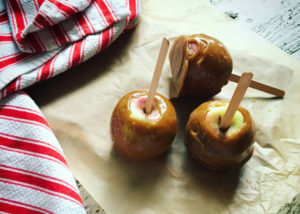 Try out these Vanilla Toffee Apples for your next party, or for just something a bit of fun on the weekend. Avocados are an amazing addition to a smoothie. They add such luscious thickness and of course wonderful great fats to help brain function and keep tummies full. 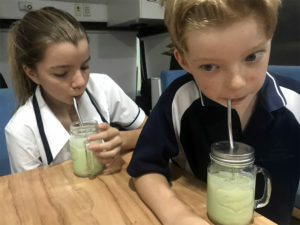 Here is our Cup of Greens In A Drink Before School which incorporates the wonder of avocado. 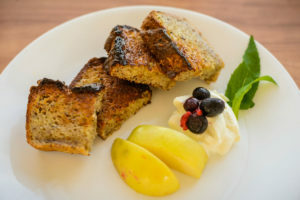 This is a great breaktast or dessert recipe. 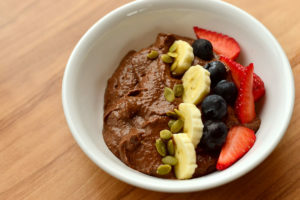 It’s loaded with protein and with added avocado it includes good fats – so this pudding will keep tummies full for sure. 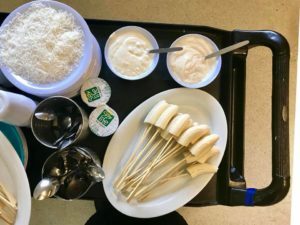 Word for the wise – don’t like the ingredients put you off making it! Try our Chocolate Bean Pudding. This Lazy Bones Banana Bread recipe is on high rotation in our place. It’s quick and dead simple to make, great for breakfast, for the lunchbox or even for arvo tea. I saw these cute Banana Pops over at Little People Nutritions Facebook page. This is a fab idea for a party activity come food plus also a bit of fun for afternoon tea. 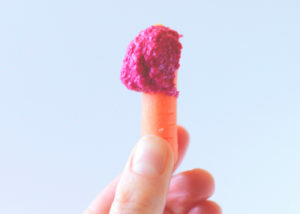 Dips are an awesome way of getting kids to eat veggies. Try this Roasted Beet Hommus by the Minimalist Baker. 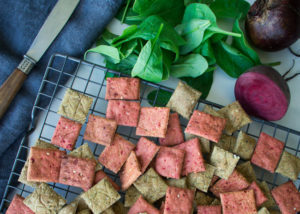 These Savoury Veggie Crackers by Georgia at Well Nourished are the absolute bomb! 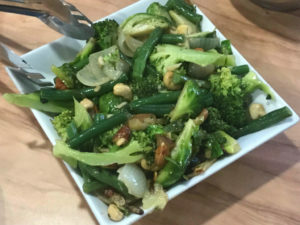 This Sauteed B Vegetables recipe is a great way of including broccoli into a meal. Change up the other veggies to what’s in season too. This recipe by hero, Jamie Oliver covers two bases for September Seasonal Veggies. Broccoli and Cauliflower. 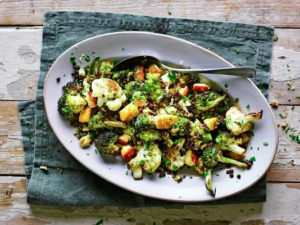 Try this Roasted Brassicas with Puy Lentils and Halloumi recipe. 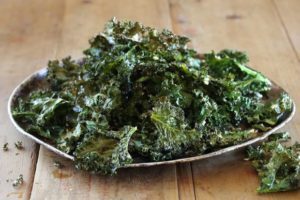 Kale Chips – who would have ever thought kids would love them? But ours absolutely do. They are simple to make. I love the addition of Parmesan in these Crispy Parmesan Kale Chips by Maggie Beer. This soup sounds delicious. I haven’t tried it yet but I will be. 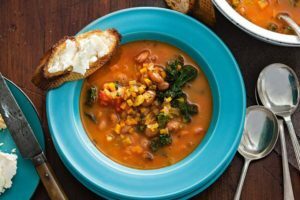 Bortolli Bean and Kale Soup. Perfect for a Meatless Monday meal. We’ve been getting Rhubarb in our organic box from Bello Box for a couple of weeks now. 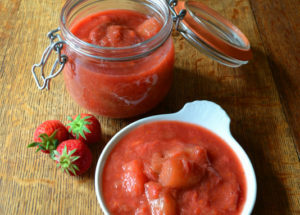 Here’s a delicious Rhubarb and Berry Compote from Frugal Feeding. Serve this with a small amount of cream, ice cream or custard, or mix it through a muffin mix. Yummo! Georgia from Well Nourished always has some rockin’ recipes and this is just another one. 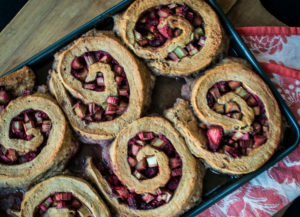 Rhubarb and Raspberry Roly Poly. You can change this up to replace the Raspberries to use Strawberries which are also in season. 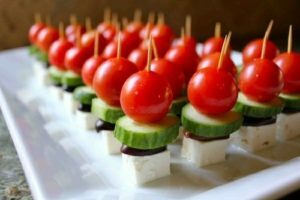 I love this idea from Cooking With My Kid – Bite Sized Greek Salad. These would be awesome in the lunchbox and also for a party food. 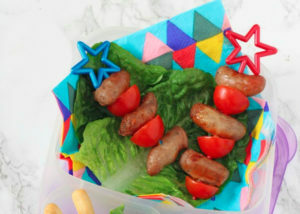 This is another great lunchbox idea using tomatoes and skewers. Sausage and Tomato Skewers. Doesn’t get much easier than this. Oh my this is going to be on my list for another Meatless Monday recipe. 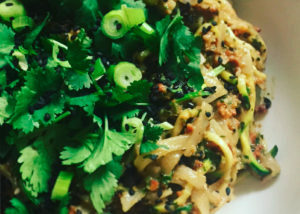 Check out this Cashew and Zucchini Pad Thai recipe by Alexx Stuart of Low Tox Life. 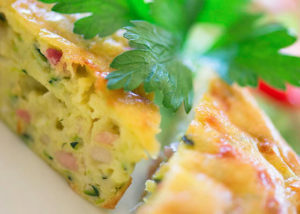 Zucchini Slice – great for the lunchbox, but pimp it up by serving with steamed veggies or a salad for dinner. This recipe by Julie Goodwin is a winner for sure.